Jennifer Brody was working inside her office at Boston Health Care for the Homeless Program when a familiar voice floated down the hallway. The patient, just years earlier battling an advanced AIDS diagnosis and heroin addiction, was in recovery thanks to the multi-pronged help the Albany Street agency provides. He was a success story in the face of two of the country’s most ferocious epidemics, said Brody, the center’s director of HIV services. And on this day, he looked like he was about to collapse. The intersection of the two crises — AIDS and opioids — serves as an undercurrent to new legislation US Senator Elizabeth Warren is preparing to file, the latest attempt on Capitol Hill to tackle the opioid scourge. 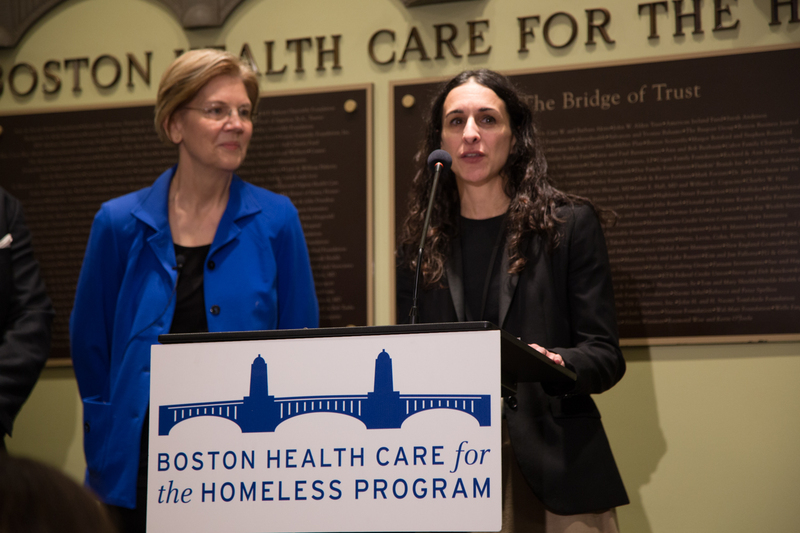 Appearing at the South End center Friday, Warren said her bill, dubbed the CARE Act, takes a framework championed in groundbreaking 1990 legislation designed to fight AIDS and seeks to apply those lessons to battling overdoses today.